We stand at the doorway to a new year but also to a new decade, and it is time to make a summary. 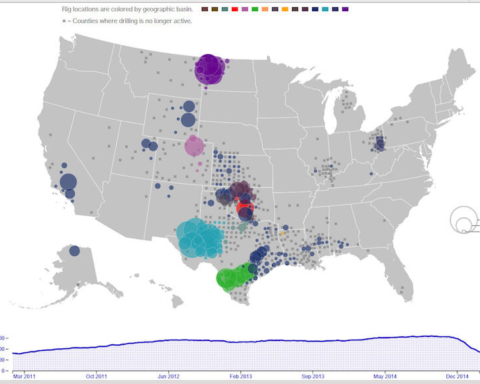 At the start of the 21st century, Peak Oil was not an issue. During the 1990s the oil price fluctuated around $20 per barrel and that the price would increase was unthinkable. 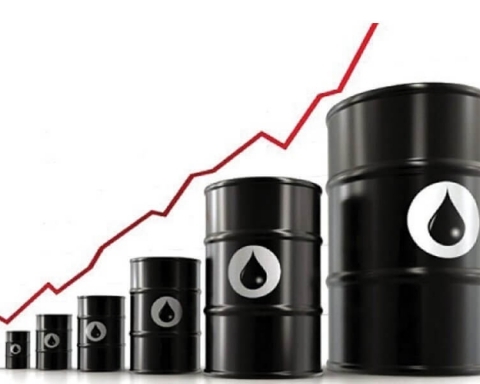 The International Energy Agency (IEA), the US Energy Information Agency (EIA), the World Bank and others all had prognoses showing that the price would be around $20 per barrel in 2020. When in 1998 Colin Campbell and Jean Laherrère wrote their now famous article “The End of Cheap Oil” in Scientific American predicting that production of cheap oil would reach a maximum around 2005 there was no one that took them seriously. 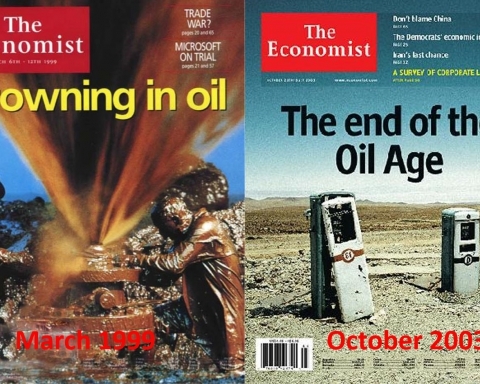 Instead, in March 1999 The Economist advanced the opinion that the world would be “Drowning in Oil.” Personally, I took the warning signals serious and started to learn as much as possible about oil depletion. Using King Hubbert’s mathematical description of future oil production one could easily calculate that a production maximum would occur within 20 years. By using a refined methodology based on expected production from individual nations, Colin Campbell was able to make a more precise estimate. In 2003, he and I published the first “peer reviewed” article where we showed that the world’s oil production would reach a maximum around 2010 at a level of around 87 million barrels per day (Mb/d). It is interesting to note that, so far, we have been fairly accurate (The Peak and Decline of World Oil and Gas Production, K. Aleklett and C.J. Campbell, Minerals and Energy – Raw Materials Report, Volume 18, Number 1, 2003). Now when I re-read the article, I see to my amazement that, in fact, we do not use the term “Peak Oil.” The article was written during the fall of 2002, and that was when ASPO and Peak Oil had not yet become accepted internationally. For most people, it is not the production of oil that is of interest but, rather, the price. During the entire 1990s decade, the price had fluctuated around $20 per barrel despite OPEC attempting to force up the price into their desired price band of between $22 and $28 per barrel. However, during the first years of the 21st century, the price fluctuated around $25 per barrel and OPEC’s oil ministers were quite pleased. Everything changed in 2004 when China’s economy expanded at a record pace. From 2003 to 2006 the global demand for oil increased by 10% from approximately 77 to 85 Mb/d. In spite of the global economy continuing to grow, the increase in oil production slowed and, instead, it was the price that increased from $25 per barrel to the record level of $147 per barrel in July 2008. For me, this was a clear sign that we had reached a production plateau of around 85 Mb/d and the question is how long global production can be maintained at this level. For 2009 we can note that the oil market crashed one year ago and that prices were down at $40 per barrel. Many people believed that, just as in the 1990s, we would return to a long period of low crude oil prices. When, during autumn, the oil storages were filled to cover winter’s needs the crude oil price passed $80 per barrel to then fall to a level around $75 per barrel. If this is the new average level for the oil price, we can expect a price of over $80 per barrel in April which will then, during summer, once again fall to a level some dollars lower. 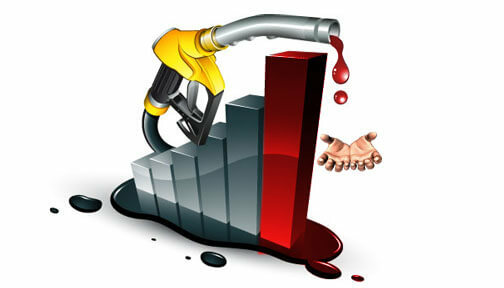 During 2010 the world economy is estimated to grow and, with it, demand for oil. A new increase of 10% would place us at a demand level of around 92 Mb/d. The problem is that we during recent years have seen a dramatic decrease in oil production in many of the world’s largest oilfields. There are rumors that the world’s greatest oilfield, Ghawar, with a production of 5 Mb/d is now in decline. At the same time, there are new projects in Saudi Arabia that will give increased production in other fields, and it will be interesting to follow developments there. To find a production of 92 Mb/d the next years will probably be impossible. 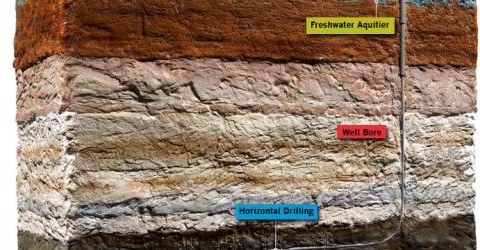 During 2009 new oil fields have been found and the volume follows, in principle, our curve that predicts 125 Billion barrels of new discoveries by 2030. It will be interesting to follow developments in, primarily, Brazil. 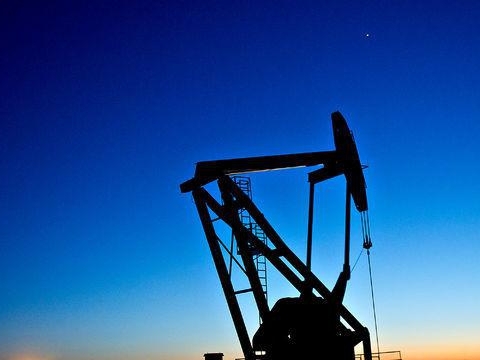 These new discoveries will, nevertheless, be of limited significance compared with the auction conducted in Iraq during the year’s last month when production rights for over 30 billion barrels went under the hammer. The future level of world oil production will now be dependent on peace in Iraq. To conclude I would like to mention the climate meeting in Copenhagen. There most of the world’s leaders noted that production of fossil fuels must decrease at the same time as those responsible for energy in the same nations displayed prognoses of increases. It is entirely clear that the left and right hands are not coordinated. If the first decade of this century became the decade when Peak Oil was introduced, I am entirely convinced that the coming decade will be the one that feels the effects of Peak Oil. Personally, I am interested to see what the price of oil is in 2018 when the bet between BP’s managing director Tony Hayward and me will be decided. If production is under 86 Mb/d, Tony Hayward will be the one to pay, and I am entirely convinced that I am going to win. There is much, much more to discuss but these reflections can stand as my little year’s Chronicle.